The Constantinople Ethereum fork was canceled little before it should have taken place as a security vulnerability was found by an audit firm. The wide-anticipated system update was expected to take place on January 17th, at 04:00 UTC. 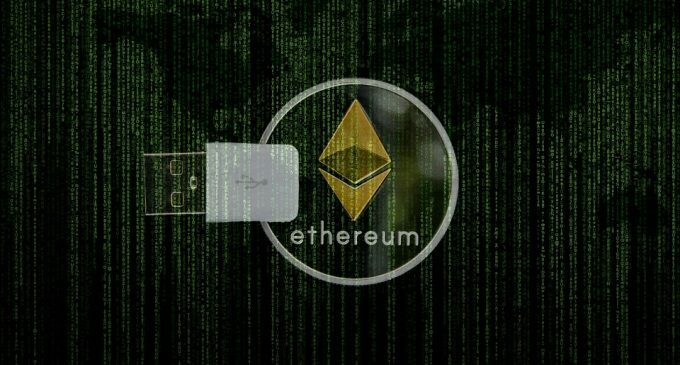 ChainSecurity, a firm specialized in smart contract auditing, spotted a vulnerability in the Ethereum EIP 1283, an update which would have lowered the cost of gas. As the news spread into the market, a call between some of the main Ethereum developers, including founder Vitalik Buterin, Hudson Jameson, Nick Johnson, and others. They realized the bug will not be fixed until the fork time, so the delay remained the only option. The reentrancy attack is basically a situation when an attacker is allowed to reenter the same function multiple times, without updating the user, which makes him eligible for unlimited withdrawal of funds. Imagine that my contract has a function which makes a call to another contract… If I’m a hacker and I’m able to trigger function a while the previous function was still executing, I might be able to withdraw funds. This is the second time the Constantinople update is delayed after another problem was found last year due to some issues with the Ropsten testnet. Cryptocurrencies had been subject to many thefts and hacks for the past year and a half, with hackers managing to find loopholes in the systems. Fortunately, Ethereum, a platform with a high reputation in the field, managed to spot and prevent unwanted situations. Despite the negative news, its good to see that the Ether price, the token fueling the Ethereum blockchain, remained stable, with no panic selling occurring. At the time of writing, Ether trades in a narrow range around the $121.9 level on the Kraken exchange. Still, Ether had weakened by 20% from its 2019 high, reached on January 4th, the price action communicating that each short-term bullish corrective move is subject to new strong selling interest. The confidence in cryptocurrencies is far from being restored if we judge by the price action performances. A new date on the Ethereum update had not been yet provided, leading the uncertainty floating. However, a new discussion between the main developers will take place on January 18th to agree on an actual date for the long-awaited Constantinople update.